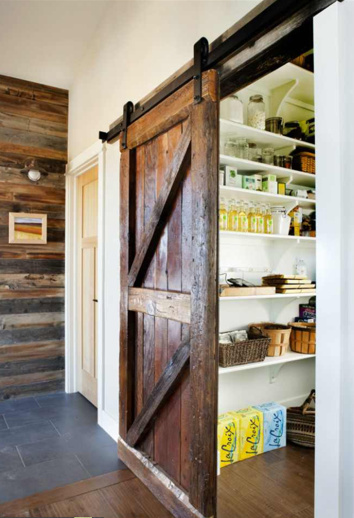 Sliding barn doors are all over the internet. Pinterest, Houzz, Facebook, blogs, you name it. I fell instantly in love with the look, so we’ve incorporated a sliding barn door into our design for the pantry. This weekend, Austin and I sketched up a design for our barn door. 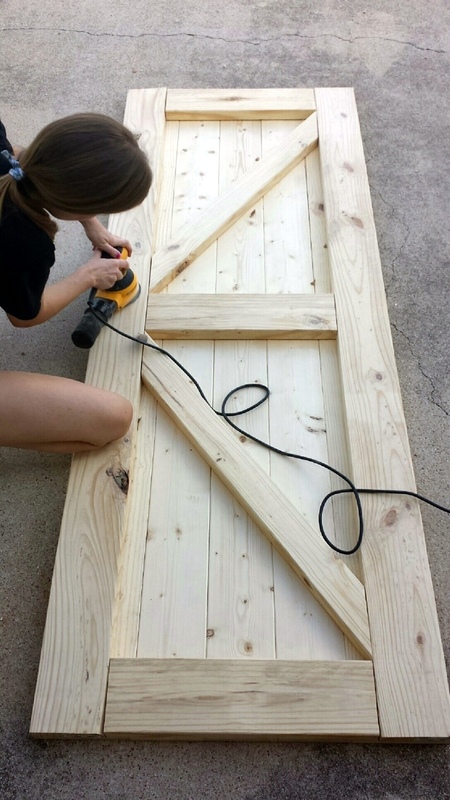 The dimensions for the door will be 7′ high by 31″ wide. We purchased our lumber materials at Home Depot. A few hours later, the lumber was reconfigured in the shape of a door! It needs more sanding, of course, then we’ll be ready for the next step – staining it. We are going to hold off on the finish until we have a better idea of the other finishes throughout the house (namely the millwork). We also need to figure out all of the sliding door hardware to hang this beauty!